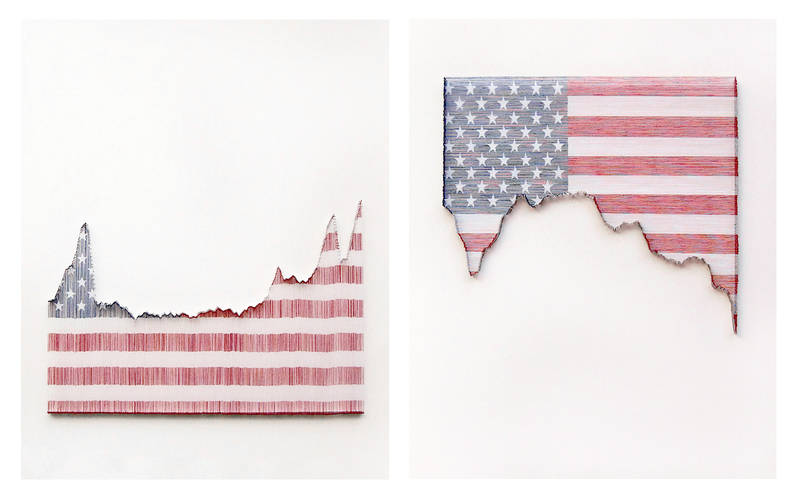 The clever, thought-provoking international artist JEREMY DEAN challenges the average human perspective. 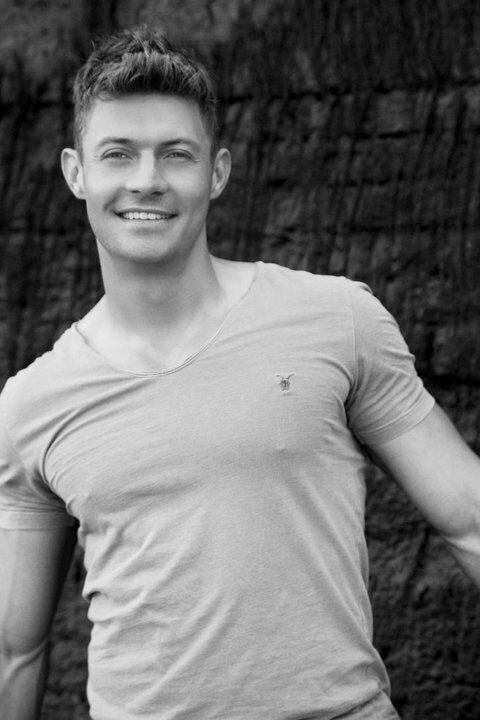 Naturally talented and a hard-worker; Dean’s first project was an award-winning documentary called Dare Not Walk Alone. The film exposed the civil rights movement and its aftermath in St. Augustine, Florida. His Futurama Series continues to raise eyebrows and received continuous National press coverage as he toured the USA in an H2 Hummer converted into a horse-pulled stagecoach. Jeremy works in a variety of artistic realms; animation, drawing, interactive sculpture and installation. 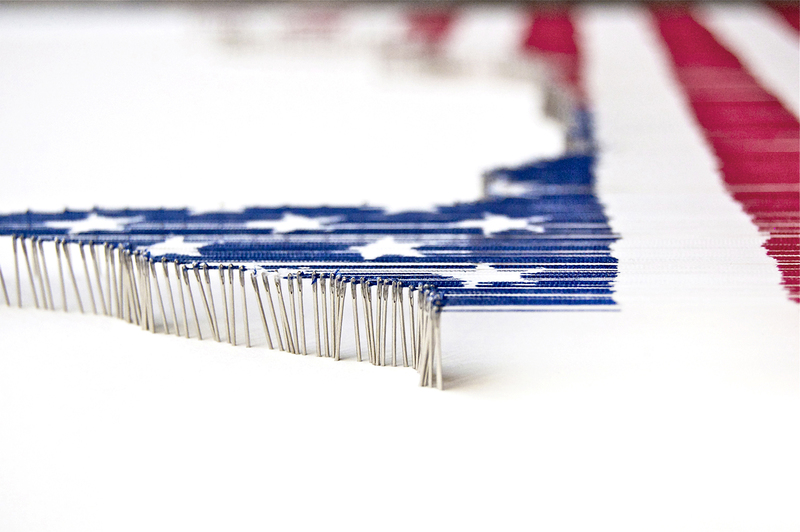 He has spent this year in artist residencies preparing his next projects. We Are Daytrippers chats to Mr. Dean about role models, mentors and creativity. The Daytrippers Team: What was your childhood like and did you have a role model? 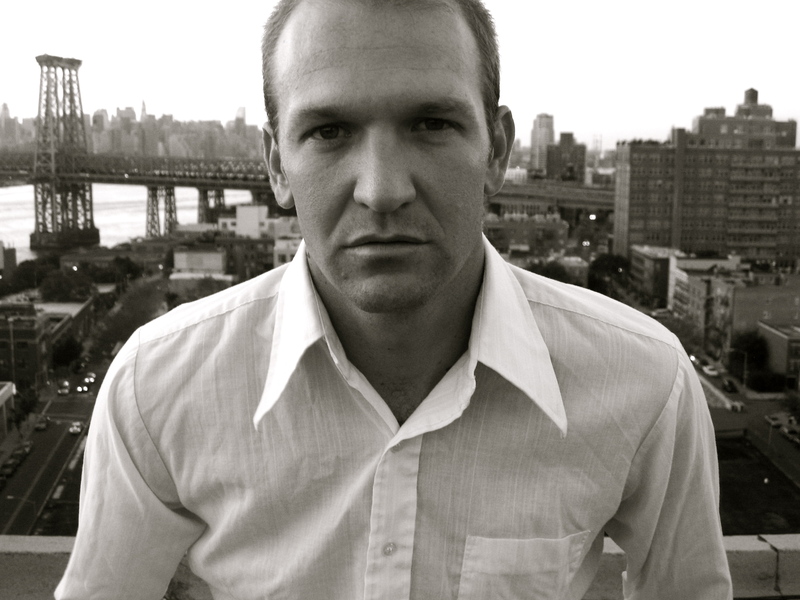 Jeremy Dean: I was raised the son of missionaries in the Amazon jungle of Peru and the Yucatan of Mexico. As a kid we grew up among native Indian children, and we had almost no idea we were different. In fact, we tried very hard to overcome any differences of language, culture, or food (especially food!) that made us or them, feel “other.” In doing so we hunted with bows and arrows, fished for piranha and ate monkey on several occasions. During this time my parents were my role models. I didn’t fully understand it at the time, but the way they approached life with an openness and acceptance of new experiences and people has always stuck with me. The Daytrippers Team: Who is your current role model or mentor? The Daytrippers Team: What is your creative talent and how did you cultivate it? The Daytrippers Team: Would you share a challenge in your life? How did you overcome it and what did you learn? Jeremy Dean: Almost two years ago I found that I have a fractured vertebrae that is continually moving out of place, and will eventually shift so far that it will need to be fused. I had a lot of difficulty walking, working and even sleeping. I’m a pretty active person and have spent a lot of time surfing (which I could not do), so I started swimming. I swam every day for almost 6 months and I started to get relief. The condition won’t go away, and the pain is always there, but I found something I could do that I enjoyed and with a lot of work, I am seeing progress. What I learned is that life is always going to be a series of obstacles… that is just the way it is. Some of us have more then others, but we will all have them at some point. It’s important to know that when we are in the middle of an obstacle not to give up, remembering that at some point it will pass. The Daytrippers Team: What motivates or inspires you to be creative? Jeremy Dean: I’m pretty curious to figure out why things are the way they are… I’m not that motivated to try to make things that are cool (not that there is anything wrong with that) but I am really motivated to make things that help me understand how things work… or more specifically how we as people work and how we relate to one another over time. I’m pretty interested in the “why” of things. The Daytrippers Team: Do you have any advice you might want to share to children who could be facing difficulties? Jeremy Dean: The poet Maya Angelou passed away recently and I find comfort in her words… You can not be any more human than you are. Find a piece of art to love, and when you find it, recognize that the person who made it was a human just like you are human. I think what she meant by this is; recognize that the common denominator in art is our shared humanity. Others may have a better ear for music, their body may move more easily in a dance, drawing may come easier at first… but they can not be any more human than you. People make art. What you have to make your own music, is yours, and what another might have to make her own painting is hers, but it does not change the fact that real human people with all of their own struggles and complications, figured out a way to exercise their own voice – and so can you. You have everything you need to express your own vision, and in fact that is what art is – your own vision. What others have, you don’t need – that is theirs – what you have is all you need- that is yours. Your unique story, with all it’s complications, setback and heartbreaks is what gives you the platform to express what it means to be you. We need to hear your voice, and when we recognize your particular song as something we also feel, then we understand what it means to be human. The Daytrippers Team: Thank you so much Jeremy. 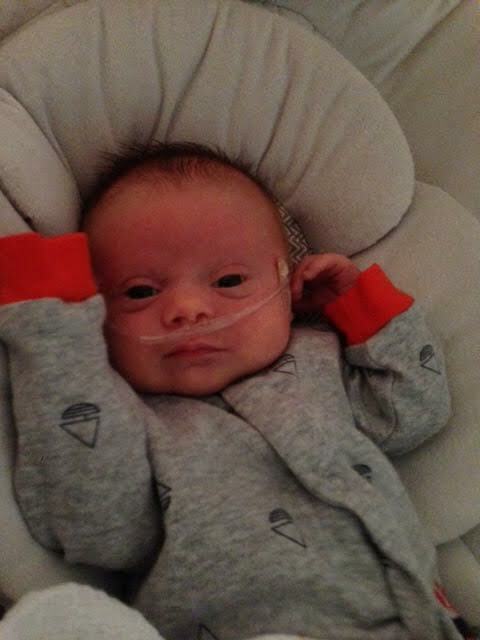 Nurse and Mom MELANIE PRESTON from Knoxville, Tennessee writes about her first month with baby ELLIOTT PRESTON. 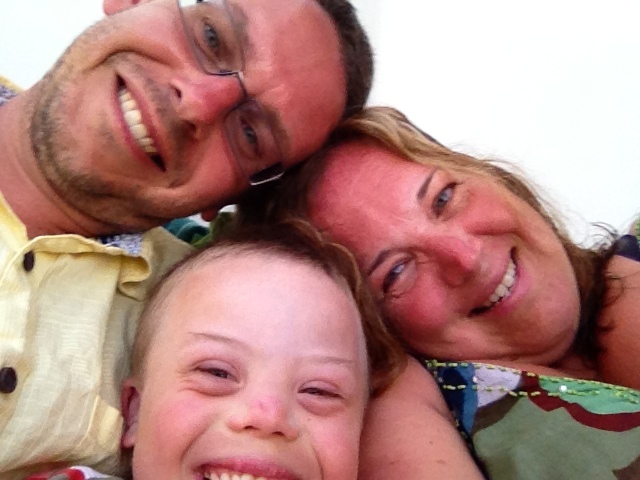 Melanie has agreed to regularly update the We Are Daytrippers media project as Elliott was born with down syndrome. What a crazy month! It’s hard to believe I had this baby laying on my chest nearly a month ago in my car. Did that really happen?! It seems like a lifetime ago already. I remember my mom telling me when I was young that I was growing up too fast and I thought she was crazy because I was never even going to be a teenager at the rate the years seemed to slowly drag on and on. Then I had my first child who is now a teenager himself and somehow all of a sudden my 20 year high school reunion approaches next year as well. It’s like I blinked and all of a sudden the years passed. Maybe my Mom was right. Perhaps it was the ten days in the NICU which helped this month pass by so quickly … or the multiple doctors and therapy appointments we have had since being home. I can’t even begin to count! I won’t lie, while some people loathe the doctor I secretly love them so much. It’s fascinating to learn about different medical diagnosis and I love medical tests and analyzing the results. My husband on the other hand seems to be the more typical person and he finds appointments and mostly the waiting room his LEAST favorite place. His appointment enthusiasm is not on par with my own. Now about Elliott: What we have found from all of these constant appointments is that he is doing really well. All of his doctors and therapists have been really impressed. Why you may ask? Well, let me tell you! Yes, his tone is low, which is typical for children with Down Syndrome and it is making him the most flexible, yet wiggly baby ever. He is able to track with his eyes on par with most 1 month old babies although getting him to open his eyes is a challenge in itself as it is rare for him to be awake. He passed the newborn hearing test and his heart defects are so mild he won’t be seeing a lot of our fabulous cardiologist. The pulmonary hypertension has resolved and he is off oxygen during the days now! We have a follow up appointment next month and then he has to undergo a sleep study. If he passes the study he can then be oxygen free. Just being off of oxygen during the day is such a feeling of freedom. Imagine being tied all day long to a very, very, very long cord: not convenient. As of last week, Elliott weighed in at nearly 9lbs (4.08 kilos) with his only feeding issue being a case of mild reflux. All my kids have had reflux in some capacity so this was not really a shock at all (it was more expected actually). Elliott is a great baby, pretty laid back most of the time unless he is hungry and then he can get pretty vocal but otherwise he is sleeping or hanging out. Overall it’s been a great sleep-deprived month just as I expected. Who knows what the rest of 2014 will bring … or the next 10 years for that matter. I’ll be sure to update We Are Daytrippers about Elliott’s progress in the next few months. I hope as a family we can take the time to enjoy these newborn days and live in the moment because as I know all too well; one day I’m going to turn around and Elliott won’t be the baby on my chest but he will be the teenager rummaging through the kitchen cabinets eating us out of house and home. 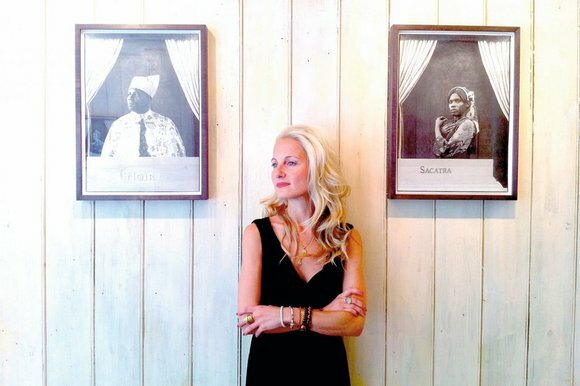 Virginia Damtsa, co-founder and director of Riflemaker gallery in soho London. The Daytrippers Team: Did you have a role model or mentor as a child? Virginia Damtsa: My parents were only 17 years old when they had me so I had to be responsible for myself from a very young age and become my own mentor. The Daytrippers Team: Do you currently have a role model or mentor? Virginia Damtsa: I am interested in successful business women and men stories and especially what propelled them to become successful. Virginia Damtsa: I work with artists; create exhibitions, enable private commissions, special projects, collaborations and sell their work. The Daytrippers Team: Would you share a challenge in your life and how you overcame it? Virginia Damtsa: Life is full of challenges so my strength lies in hope, belief, hard work and perspective. Virginia Damtsa: Being creative is not something you become, it is something you intrinsically are. The way I think, feel and believe is through images. The Daytrippers Team: Do you have any advice you might want to share to children who may be facing difficulties? Virginia Damtsa: Have hope and belief and make every day exciting by trying to learn or do something new or good. Brook Morrison from The Daytrippers Team describes the moment she began to understand what it might be like to have a disabled child. Sometimes life throws you a curve ball and after two miscarriages in two years, I started to worry. The thought of never having a child was devastating to me and I desperately began to research every possible wives tale, fertility issue and evidence-based study that might help. Eventually I went to visit a specialist who diagnosed me with mild polycystic ovarian syndrome. My spare time was spent researching stories and evidence meant to increase fertility; I began to drink whole milk, eat eggs, stopped drinking alcohol, restricted caffeine and followed strict guidelines. The 12 week Ultrasound scan. To say I was thrilled to be pregnant but hated how it made my body react is an understatement. Among the usual constant nausea and exhaustion, I vomited every day on a complete whim without notice (on the Gatwick Express train, while riding a crowded bus in my scarf on the way to Luton airport, while walking to the store … the list is endless). 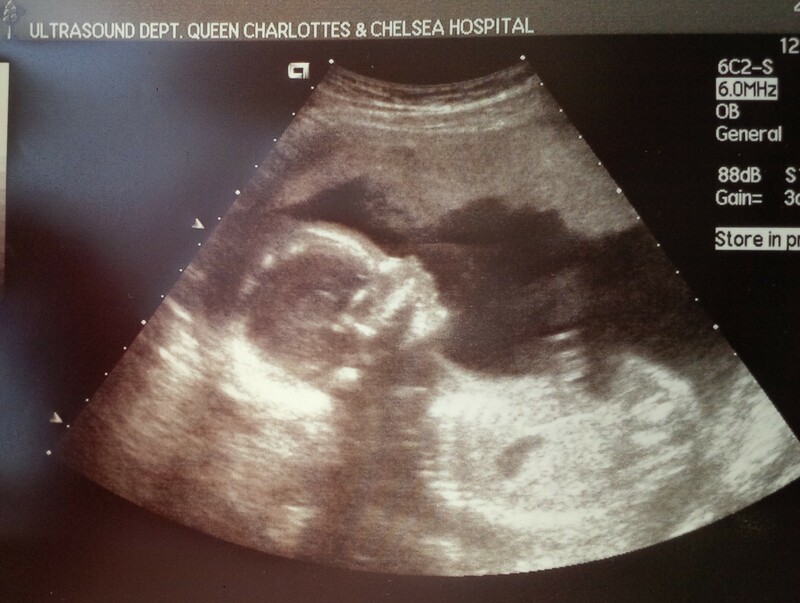 At week 12 of pregnancy we went for the first ultrasound scan. The technician slathered goo on my belly and a blob appeared on the screen. There before my eyes was a little creature like thing moving from one way to the next and back and forth. It was absolutely incredible! Was this really happening in my stomach?! The Ultrasound technician started to snap a few prints for us to take home and then she stopped, focusing on the head. Immediately, I said, “he has a very thick nuchal fold” (this is a marker for chromosome abnormalities detected by fluid retention behind the neck) and my heart completely, in one loud THUD, sank as low as it could. I remember Dad-to-be telling me not to be so negative but the technician confirmed that it was indeed very thick; she left the room, came back and gave me a 1 in 10 chance of having a child with down’s syndrome. The average risk for someone my age was 1 in 1000. We were told to see a specialist at week 14 to see if the nuchal fold had decreased in size and to make a decision about whether to have a CVS (Chorionic villus sampling – a prenatal test that detects chromosomal abnormalities in the fetus). The decision was not easy, especially as there was a tiny risk of losing the pregnancy, but decided it would be best to have the CVS in order to prepare ourselves emotionally and mentally for the future. This was also the moment I told friends and family who were overwhelmingly understanding and supportive. A friend of mine was getting married in Austin, Texas and I had to tell her we would not be there and why. The staff at the London clinic were positive, the walls were bright, the office was filled with future parents or women about to undergo procedures. I was freaked out. We waited in a small room on our own until they called my name, scanned my belly once again and then went into the room to have the CVS. The doctor came in chatting a mile a minute, the nurse was smiling and I felt like it was The Twilight Zone. The doctor kept talking to me, put a numbing agent on my stomach and said he would talk to me during the whole experience. OOF! The needle poked through and it felt like being punched in the stomach but it was over in a matter of seconds. 48 hours later I had not miscarried. Hooray! But what was most difficult? Waiting up to 10 days for the results. The clinic explained that the test could pick up other chromosomal abnormalities, heart defects – a myriad of complications. So naturally I did exactly what you should not do and researched all sorts of disabilities and experiences of families with disabled children. I could not get enough. I read heartbreaking, happy and tragic stories about families, carers, women and children; what helped them cope, what broke them down, how they processed the knowledge that their child would have a disability, etc. Some people made the decision to terminate and others found out too late and/or continued with the pregnancy. All of them made a life changing and sometimes agonizing decision based on what was right for their personal circumstance. Surprisingly, reading these stories made me feel better. There were SO many of them. I was not alone, it was a whole new world I never knew existed. Perhaps you read the story about Melanie Preston? While waiting for the CVS results during my pregnancy she was in nursing school and she kept reassuring me that all would be fine; she thought I was having a boy because boys were more likely to have thick nuchal folds than girls. I thought she was just trying to ease my stress. But you know what? Somehow she was right. I gave birth to a boy on 10th December, 2010. He is THE most wonderful human in the history of mankind. 🙂 And you know what else? Melanie went on to have her own son with a thick nuchal fold. His name is Elliott. The beauty of it all is that; thick nuchal fold or not, any child has the ability to bring joy. Sure, some children are born with a disability, but they are not fully defined by their disability. 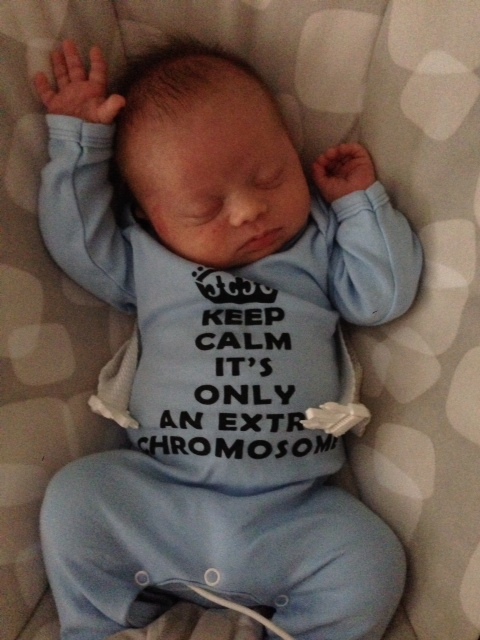 Since this experience during my pregnancy, my heart swells when I see a child with down’s syndrome. I want to go up to them and hug them. Thick nuchal folds of the world UNITE! 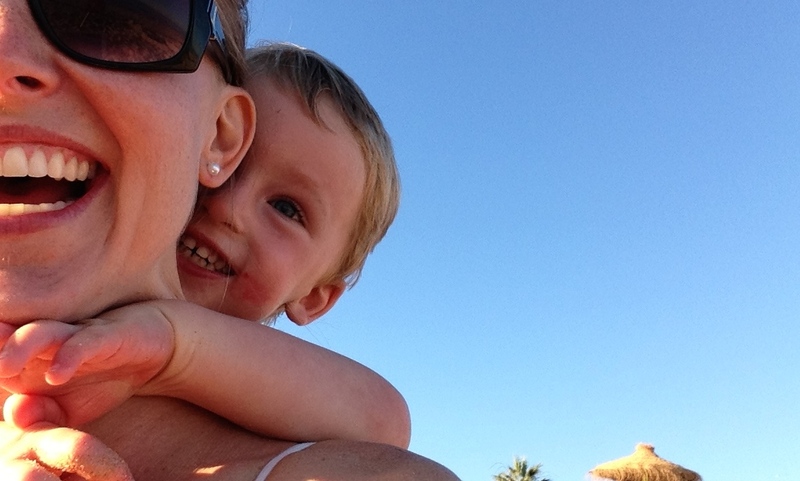 Brook and her son in Portugal in 2013. The Daytrippers Team: Who is currently your role model? 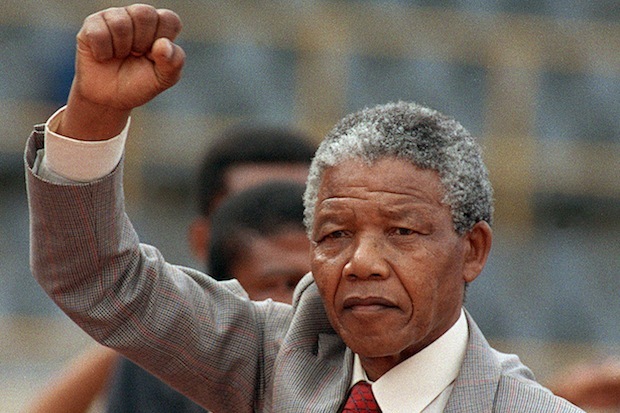 Morné Coetzer: Nelson Mandela remains my role model even after his death. The Daytrippers Team: What is your creative talent? Morné Coetzer: Music. I taught myself to play the piano and I also sing. Music runs in my family so it came naturally to me. I have a passion for the piano and because of that I could sit for hours playing. It’s a great form of artistic expression and mental release; I find it extremely therapeutic. The Daytrippers Team: Have you had any experience with disabled people? Morné Coetzer: I have family friends who have a severely disabled child and in my opinion, they loved him even more because of it. I’ve experienced being around family and friends who had dementia which is such a difficult thing to deal with. The Daytrippers Team: How have you dealt with challenges in life? Morné Coetzer: By relying on close friends and family. I think a good support network is extremely important. Morné Coetzer: I LOVE making people smile. I always enjoy things more when it’s about making others happy as well. Seeing how creativity inspires and brings joy to others is what it’s all about for me. The Daytrippers Team: Do you have any advice for young people? 1. Fundamentally, just figure out what you need to be happy and go for it. 2. If something is making you unhappy, remove it from your life and replace it with something positive. 3. Do not care about what people you do not know think of you as it has no real value or meaning. 4. Be kind to everyone, but make sure you know who your real friends are and make sure you cultivate and protect those relationships. 5. Always be honest with yourself. 6. Accept that you are not perfect. Own up to your mistakes and apologise when you’ve done something wrong. At the same time, if someone apologises for wronging you, forgive them. 7. Do not hang on to negativity as it will only hold YOU back. The Daytrippers Team: Thank you Morné Coetzer! STACY KESTEN is an American filmmaker, artist, actor and meditation student who resides in Studio City, Los Angeles with her Film and T.V. editor husband Brian Ging. 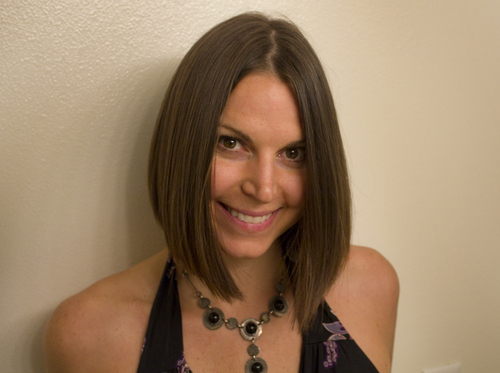 Stacy is dedicated to the study of Mindfulness and Meditation at UCLA because she has witnessed firsthand the varied benefits in those who have practiced for a long time. She hopes to demystify the learning curve and help those who wish to begin a practice of Mindfullness and Meditation. Just living in modern society is stressful. Add being a parent to that equation and the potential for stress increases significantly. Top that off with being a parent of a special needs child and the word “stress” takes on a whole new meaning. So how does one handle this particular version of stress? The kind of stress so few others experience or even understand? I would like to suggest Mindful Meditation. I know what you’re thinking: “with all of the demands of balancing life and the responsibilities of being a parent to a child with special needs, who has time to meditate?” I get it. It seems counter-intuitive. There’s always so much to do, and if, by some alignment of the stars, you have 20 minutes to yourself, then, well, there’s still always something else to do. I understand. But here’s my question: What is the quality of your life and your parenting experience, when you don’t take care of yourself? How much time is wasted and lost when your day feels scattered and harried? What I’m suggesting is that in order to take better care of your child, I urge you to also make yourself a priority. It is absolutely essential to partake in self-care activities that not only calm you, but also give you the opportunity to find inner peace so that your life may be more balanced. If you can find that balance and calm, you will be a better model for your children, and they will pick up on your improved energy which will in turn help their balance and calm as well. It’s a win-win! In my meditation groups and classes parents often express that they experience guilt when they steal away for 20 minutes to meditate. somehow, it seems like a “selfish” way to spend their time. I would like to submit that nothing could be further from the truth. The reality is that there is no kinder gift we can offer to our family, our friends, and the world around us than the recharge we get by spending a few quiet moments alone, taking care of ourselves. When we take time to meditate we find more patience, clarity and presence. We also learn to cultivate more compassion, both for those around us and for ourselves. As parents, it’s so easy to let the “inner-critic” take over. In case you’re not familiar with your inner-critic, allow me to introduce you to mine. My inner-critic is that nasty voice inside my head who shouts mean things; “you’re a bad parent” or “You’re not doing enough” or “you can’t do anything right!” Most of the time we allow these voices to run rampant and unchecked because we are unconscious of them. However, if we can become aware of them, they begin to lose their power over us – and one of the most effective ways to become aware of this toxic chatter is through meditation. you can practice meditation wherever you are – whether you’re out for a walk, riding the bus, waiting at the doctor’s office, or even in the middle of a difficult business meeting. If you’re willing to give it a try, you might be asking HOW does one meditate? Do I burn incense, sit on a Tibetan pillow cross-legged and chant Ohm?! It’s much simpler than that actually. 1. 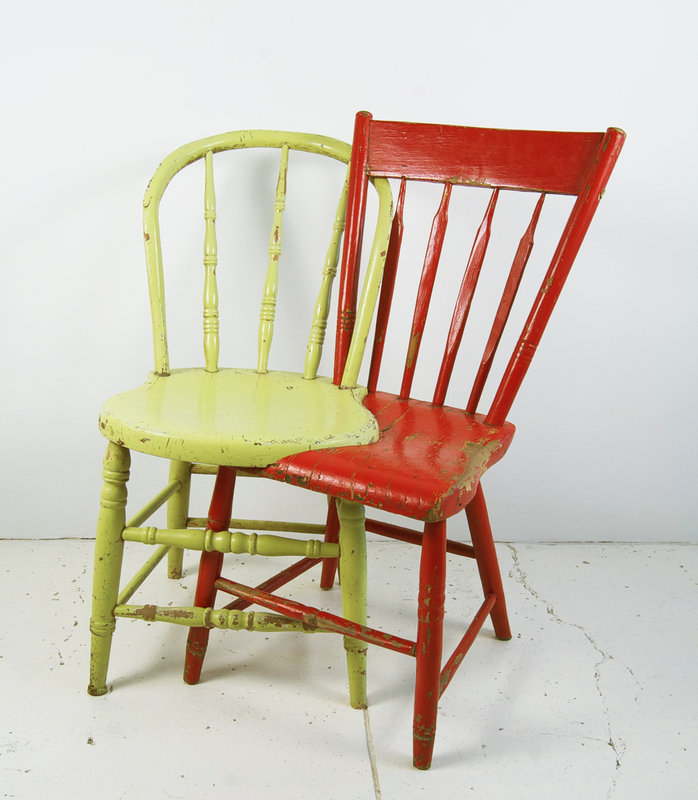 Find a comfortable position, preferably sitting in a chair or lying down. 2. Take three deep slow breaths – Inhale and Exhale, Inhale and Exhale, Inhale and Exhale. The feeling of the air coming in and out of your nostrils. The feeling of the rise and fall of your stomach, chest or shoulders. The feeling of the air filling your lungs. Any coping mechanism that helps you feel aware of your breath. 4. When you noticed that your mind wanders off (which it most definitely will) gently, and without giving yourself a hard time, bring your focus back to your breath. That’s it! Meditation is as simple as that. I’m not saying it’s easy, but the key is to be kind and patient with yourself. The more you practice, the more you will see benefits. Over time, parents often report increased patience and compassion towards their children (and themselves) among many more benefits. As you learn to focus on the present moment, you will also begin to learn what is worth giving your attention to and what is not (no thanks, inner-critic!) which is sure to simplify your life. If I have managed to peak your interest, just start off with whatever level or time seems do-able. Should you find a few free moments, do take time to take care of yourself, so that you can, in turn, take care of others. I can’t think of a better way to invest a few minutes of time. I think for any parent, making decisions for your child is always difficult and especially so if you have a child with special needs. 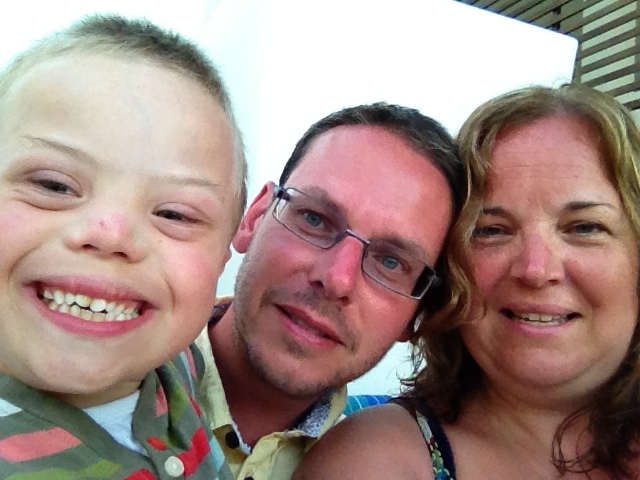 I am Mum to Jack who is 7 years old and born with Down’s Syndrome. At our 20 week scan they told me and Jack’s Dad Mark, that’s there was a chance that our baby boy would be born with Down’s Syndrome as his neck measurement was slightly larger than average. We chatted to the specialist midwife about our options, but for us there were no options. We would have our baby regardless. No amnio and no abortions. It was a short chat with her! Jack decided to arrive into the world slightly earlier than planned (6 weeks too early in fact!) and was almost born on our neighbours decking as I was adamant I had indigestion! First time Mum and all that. After a mad dash to the Horton Hospital, Banbury Jack shot out an hour later after the mention of forceps! After a short cuddle he was whisked off to the Special Care Baby Unit (SCBU). The consultant told us that they thought he had Down’s Syndrome. At the time we didn’t cry or get upset we just knew that we would care for and love our baby no matter what. Jack was in SCBU for 6.5 weeks which was quite hard going but he finally came home only to be admitted again after 3.5 months for open heart surgery. 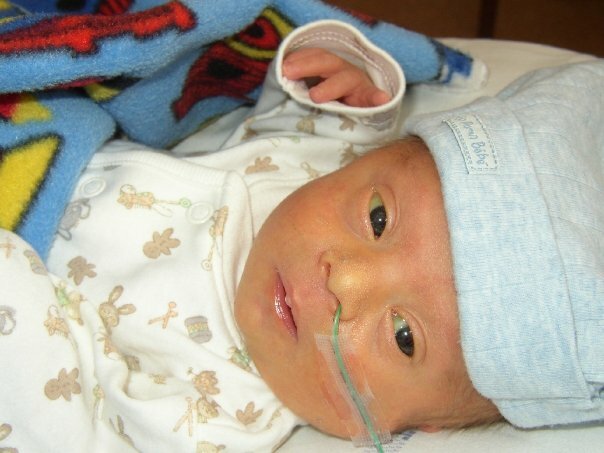 We didn’t care that he had Down’s Syndrome just as long as he survived the operation. Looking back now I don’t know how we coped seeing our baby connected up to all the tubes and wires on the Paediatric Intensive Care Unit but we knew he was in good hands and you just have to get on with it! We had a few visits to hospital over the next few years mainly for chest infections. He vomited up to 7 times a day every day due to the build-up of mucus on his chest and faulty valves at the top of his stomach, and failed to put on weight. We used to carry a plastic ‘sick’ bowl underneath his buggy just in case! We didn’t let this stop us doing anything travelling to the Seychelles when he was 6 months old for our honeymoon as well as Lisbon, France and Cornwall! Through all of this Jack was still a contented baby taking on these challenges as they were thrown at him. At 2 years old we went on a holiday to Crete and he suddenly became a different child with regards to his health. Virtually overnight he stopped being sick and started to put on weight! He was also a floppy baby and didn’t walk unaided until he was 4 and a half years old. Mind you that didn’t stop him bombing around on his bottom and then later on with his walker. If you see him now it is difficult to believe how poorly he was early on because now he runs very fast and eats loads! He is very sociable, but very stubborn and only wants to do what he wants to do! When Jack was 4.5 months I joined our local support group Down’s Syndrome Oxford which has been invaluable to me over the last 7 years. I took over as treasurer and have currently just handed over to another volunteer after 5 years in the role. 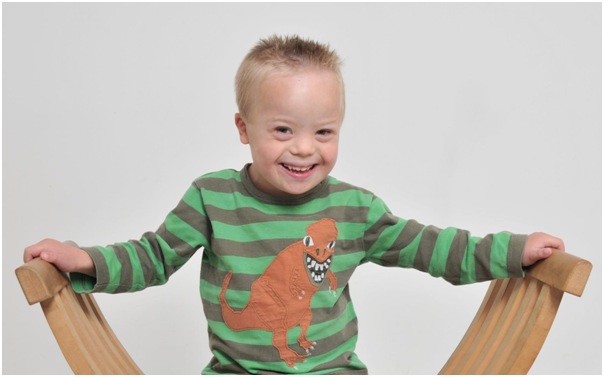 When Jack was ready to start school we decided to put him in to our local mainstream school in Bicester, Oxon since most of the advice we received suggested that children with Down’s syndrome benefit from being around other ‘typical’ children and could learn by copying them. During year 1 Jack’s behaviour became worse (he had always been a thrower!) often reluctant to line up, go into class, stay on task, to do as he was told by his teacher, or sit on the carpet so we agreed for him to repeat the year. This didn’t help his behaviour and if anything the situation continued to get worse. This was a very low time for me and as every time I collected him there was negative comments and his whole education was becoming about his behaviour not what he had learnt. I didn’t know what to suggest or do. I contacted various professionals to try and get some advice but nothing really helped. The Educational Psychologist involved in school suggested he have his 1:1 sessions as normal but that he went back into reception (joined with nursery) at other times to try and build up his social interactions with the younger kids. Unfortunately this did not help and Jack would still lie on the floor, refusing to budge only wanting to have an adult’s attention. He would also behave like this at home so it just wasn’t at school. Every morning when I tried to get him to eat his breakfast or get changed or go to school he would refuse, lie on the floor and refuse to budge! I did go through a couple of very low weeks last October when I just was about to give up but then Jack comes along gives me a big smile, a huggle (a hug and a cuddle) as we call them and tells me he loves me. Earlier this year when the Head teacher had said they didn’t know what to do with Jack in September I knew the problem with his behaviour wasn’t going to get better here and that this mainstream school despite the care of the staff was not right for him anymore. So when the Ed Psychologist mentioned perhaps having a look at our local special school we decided to make an appointment. I was very upset at the time (February 2014) about Jack attending special school but was impressed by what I saw when we visited. All the questions and concerns I had were answered by the Head teacher and Mark and I both liked the idea of smaller class size and that this would probably benefit Jack. I think I was so upset about special school because I worry about what will happen to Jack when Mark and I are no longer here and who will help him. At special school the staff teach the children about being independent such as cooking, getting dressed, money etc. which are essential skills needed to look after yourself. We also sat in on a lesson in the class that Jack would be joining should we decide to send him there. There were 6 children, 1 teacher and 3 teaching assistants and I was surprised how calm and quiet the environment was. Each child could be taught at their individual level and with the specific help they needed. We decided to get Jack into the special school ASAP as I felt he was not achieving at the mainstream school. He started after Easter with a few mornings accompanied by his TA’s from the mainstream school before attending officially after May half term. He also gets transport to school provided which I wasn’t so sure about but as school has been so good at communicating with me I don’t feel I am missing out on the after school chats when I would have pick him up. He seems to enjoy travelling on the bus with some of his class mates! Well what a surprise in the first full week it was like having a different child. He actually wanted to go to school! He liked his new Teacher (Mr M) and was keen to talk about his new class mates. I haven’t had the battles I was having every morning to get him to school. He is more willing to get dressed and wait outside for the bus to arrive. Obviously, we do still have the odd battle and refusals to move or do anything, but generally he seems happier. This makes home life much better. So now he has been at special school for 5 weeks and I think it was the best thing to do. His speech has improved as well as his behaviour. Whether it was that the mainstream school we chose wasn’t the right place or the fact that any mainstream school would never have been right we’ll never know and it is very early days at his new school but it seems to be going in the right direction at the moment. Sarah watches as Jack feeds the Giraffe in 2013 at London Zoo. 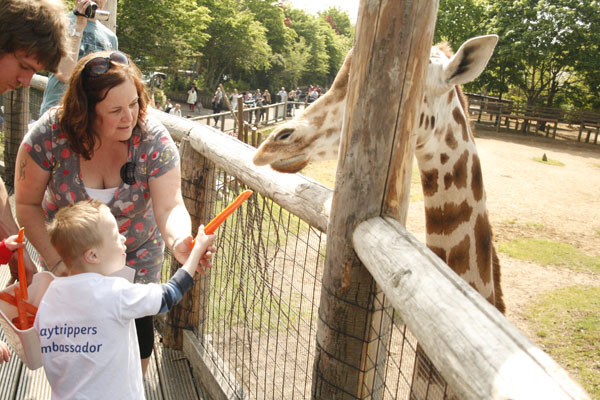 We became involved with Daytrippers after we’d been to the Special Need’s Day at London Zoo. This has been our fourth year attending. Last year Jack was the Daytrippers Ambassador and was allowed to feed the giraffes. He loved it. We also attended Daytrippers 10 year Party and a music event that was held in London. We have just attended the Brighton Sealife Centre Trip which was at the weekend. Jack loved the sharks and feeding the turtles! Thank you Daytrippers. Please feel free to contact me regarding anything I’ve talked about! We Are Daytrippers · Inclusion media project with the intent to raise disability awareness.